I am a survivor of a bed bug attack. Yes that’s right, I lived to tell the tale. I hear you gasp across time and space – bed bugs, how can anyone get over such an experience? It wasn’t easy. There were days of lathering myself in Hydrocortisone cream and restless nights sleep using my flash light to constantly search the bed for the little bugs. Somehow though, I was able to get through the scars (both physical and emotional) and recover from my attack. Now I am ready to talk about it. 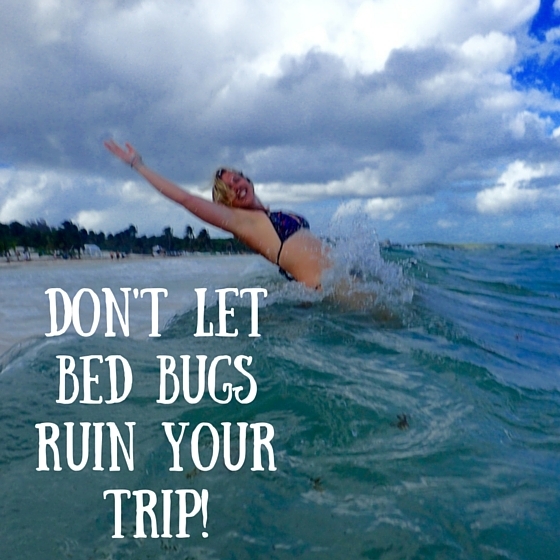 I have had two bed bug attacks, one in Airlie Beach in Australia and the other in Playa Del Carmen in Mexico. 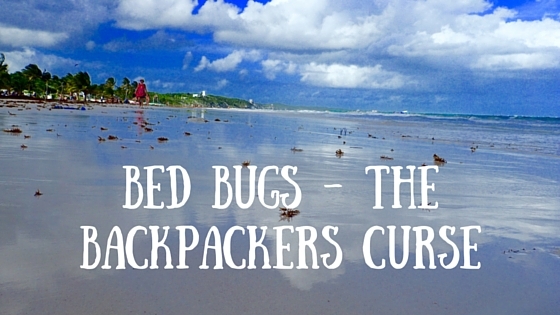 Bed bugs don’t strike hostels more often than hotels or other types of accommodation. Problem is when bed bugs hit a hostel dorm room more people are likely to be affected than one hotel room. Most hostels and hotels take bed bugs very seriously and will fumigate regularly – I have known some to do it as often as weekly, this isn’t a bad thing or a sign of infestation but usually a precaution. You can always ask your accommodation how often they fumigate, and if they look back at you with a confused expression on their face – get out! Google has many different suggestions on how to work out if your bed is infested. You can search the sheets and under the mattress for the tell-tale signs of bugs. 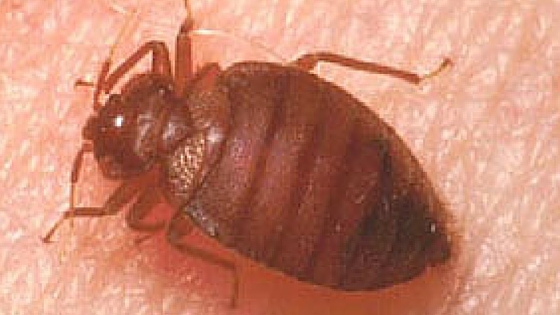 I have never been able to spot a bed bug this way, they are small and sheets are all different colours. I think the best way is to read reviews, scroll through your bookings reviews. If they have a recent bed bug or bad cleanliness review – stay away. Second thing I do is covertly checkout the other guests, do they look like they are covered in bites? Yes – then I am leaving. Some people are attacked by mosquitoes so badly that it looks like they have been bitten by bed bugs. 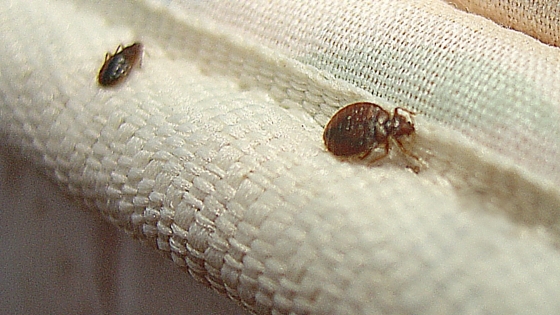 The key to bed bug bites is clusters, they generally bite you several times in one spot, or in a line. Though of course this isn’t gospel. The other big sign is – did you go to sleep bite free, but woke up covered in bites? Yes, well that is bed bugs! Hydrocortisone cream and a couple of paracetamol is probably the best way. Not doing anything will mean the bite stay itchy for longer, which means you may scratch them and scar. Mainly though it is hard to sleep when you are itchy, so dose up before bed. Also in hot climates sweat can irritate the bites making them worse, so shower more regularly. Other than that, wait for your body to heal itself. What to do when you have been bitten by bed bugs? Write a review for fellow travellers. Also include in your review the accommodations response. When I got bed bugs in Playa Del Carmen the hostel gave me my money back AND paid for all of my laundry. They also assisted me in finding somewhere else to stay that night and got a fumigatior in that day. 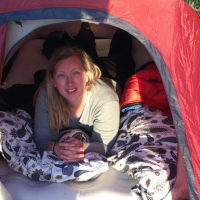 As I said – bed bugs happen, but thanks to the reaction and support of the hostel it wasn’t as big of an ordeal as it could have been. While you wait for your washing take yourself out for an ice cream and maybe a cocktail. Do something that reminds you that you are on holiday, having an amazing time and that this is just a momentary inconvenience. The worst part of being bitten by bed bugs was other people’s reactions. I was covered in bites, all over my arms, legs, tummy, back, face and even my hands. Many reacted as though I was contagious, one girl even refused to shake my hand as she was scared I would give her bed bugs!! That sucked and made me feel like a leper. To complete strangers I pretended that I had been attacked by mosquitoes – which, for some reason, is more acceptable. Those who I told the truth to I quickly told them of all of the steps I had taken to ensure that my belongings were bed bug free. It was awkward and it was weeks before the bites began to fade completely. It was a horrific experience one that I hope never to repeat again. However, as I am a traveller and love being on the move the odds aren’t in my favour. My advice is, do your research into your accommodation, wash everything if you do get bitten and never travel without a tube of Hydrocortisone cream. Most importantly, if you do meet someone covered from head to toe in bites, don’t stare or wince when they tell you why, just by them an ice cream and remind them why they are on holiday!